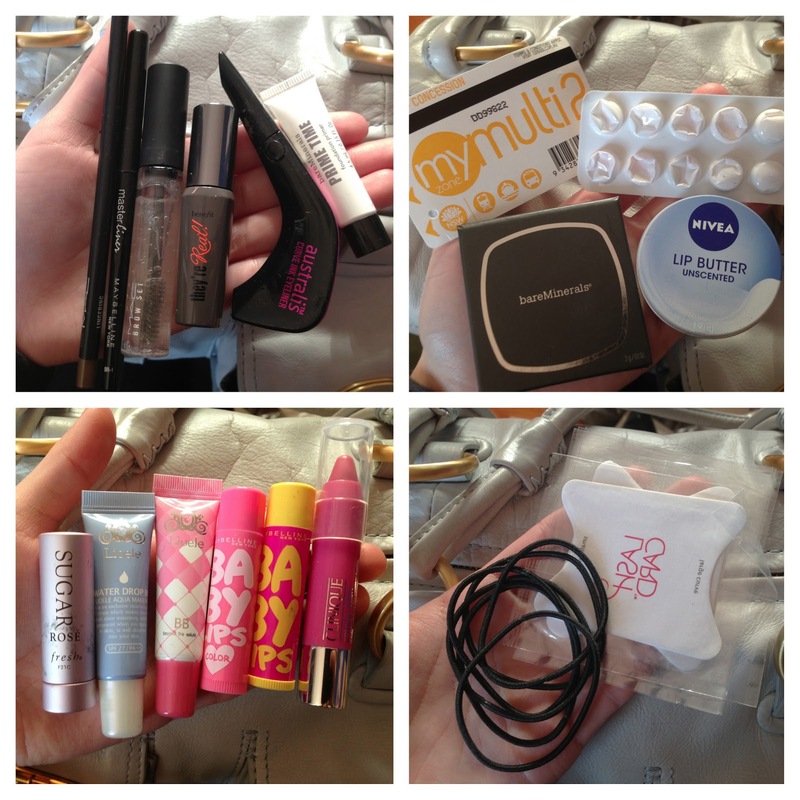 The Shopping Queen: What's in my bag? I'm currently using a Mimco mini turnlock bag. I got this on sale for about $160 (reduced from about $425). My last bag (a Longchamp tote) lasted me for 2 years but the leather on this one is starting to crack and it's kind of getting really dirty now. In the 2 side pockets, I keep my Chanel card holder with my most used cards (train tickets, store loyalty cards, credit cards etc) and some of my most used makeup. 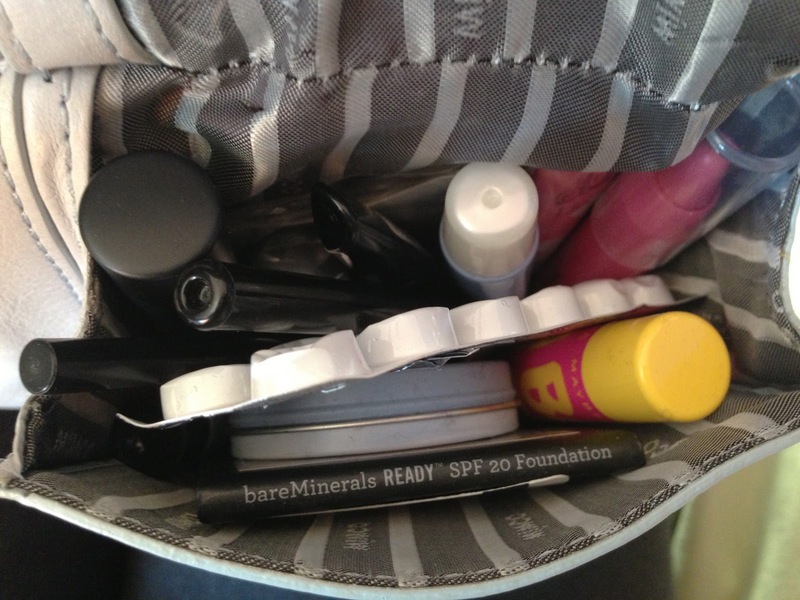 I alos have my 3 concealers in this compartment. The Make Up For Ever Full Cover Concealer is my holy grail concealer and I use 2 different shades (7 and 8) depending on how tanned my skin is. I actually haven't used the other MUFE concealer but it's an under eye one that's apparently really good. 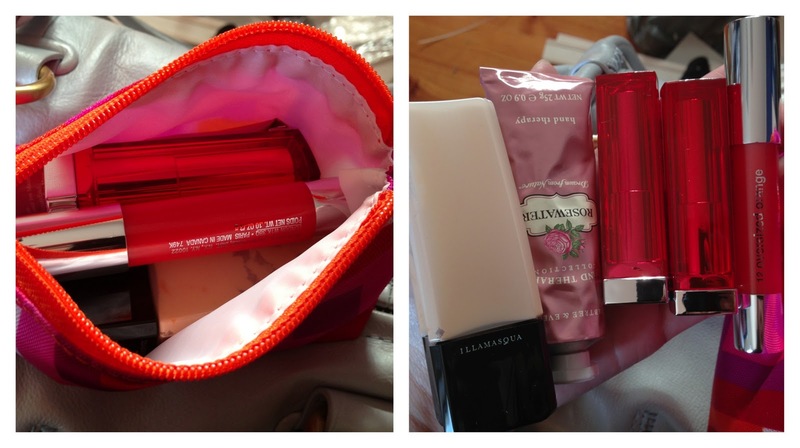 I also have this little makeup bag that was primarily used for the Crabtree & Evelyn rosewater hand cream. Am I the only person that has trouble with hand cream tubes splitting? I've had Jurlique and Crabtree & Evelyn hand cream tubes split and leak before so I didn't want to take a chance with this. I've also got an Illamasqua foundation that's new which I got on sale for $15 :D and 3 lip products that I'm currently trying out at the moment (Maybelline vivids lipsticks and a Clinique chubby stick). 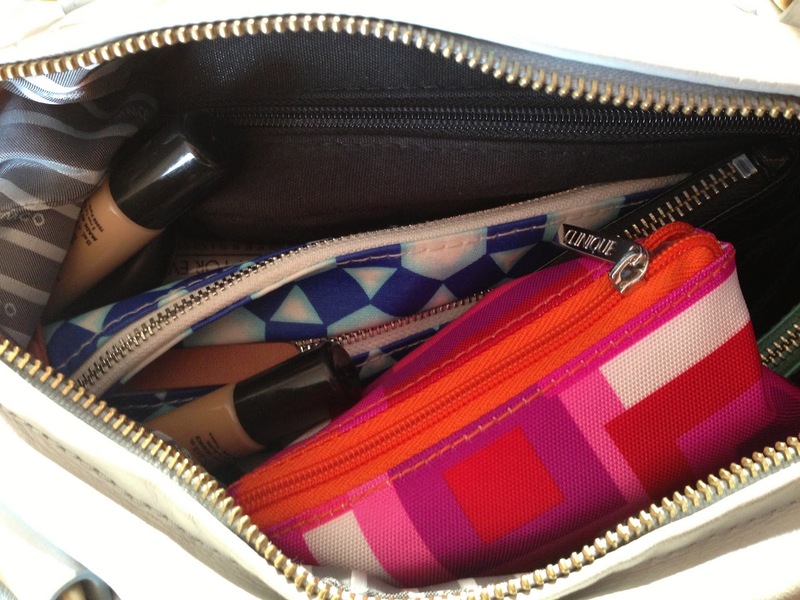 And then I have 2 Mimco pouches that hold cards and receipts and stuff. I only need one but I didn't know what to do with the other one so I kind of just use both now... I got both on sale for about $15 each. The mint coloured one was really hard to find but I found one in the city and had it transferred to my local store. The sales girl couldn't believe that I managed to get one as I believe they sold out pretty quickly. 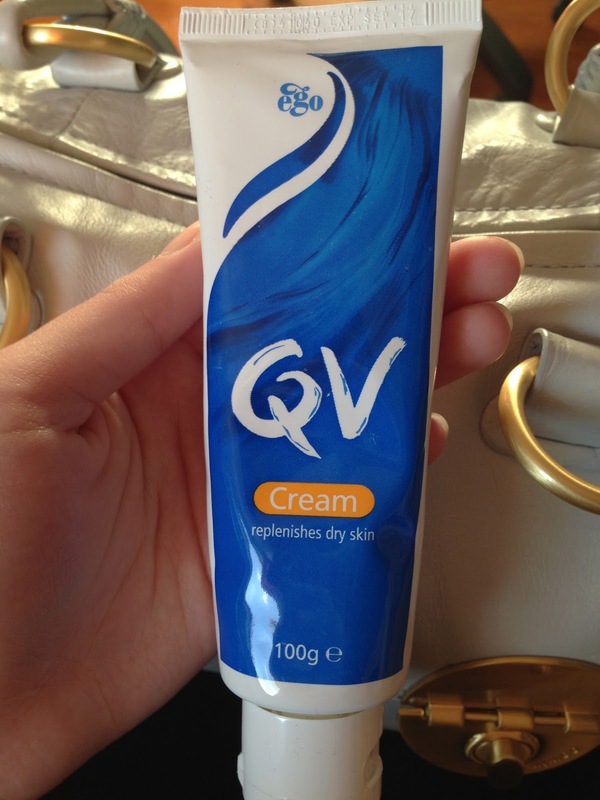 The tube of QV cream has been in my bag for months now and I still haven't opened it.. not sure why I'm still carrying it around. And if you've stuck around this far... there's only a few more things left :) I have a Country Road makeup bag with a tonne of lip products inside. I used to carry around a lot more but I culled about 60% of them. 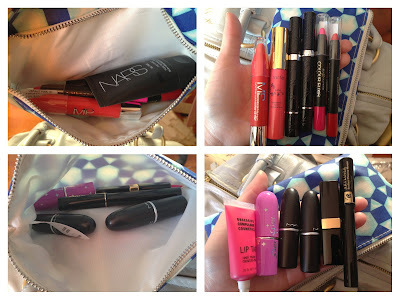 Some of these lip products are favourites of mine and others are some that I'm testing out and I haven't made up my mind on them yet (like the Max Factor lip pencils). And finally.... I have a YSL makeup bag (came free in a christmas makeup gift set from David Jones) which is also filled with (surprise, surprise) makeup. This bag has the face products that I carry around. haha thanks :) I love my bag too :) It's one of the best that I've ever had! It did :P Which is why I've started to clear some of it out. It's great your bag can fit so much! Yeh I do... but I've started to cull it! 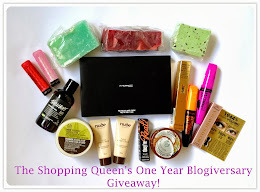 Giveaway Chicnova - Win a $30 coupon!!! That is a lot of makeup! It's not often that you see girls doing makeup on the train/bus here in Sydney but in Japan they spend 5 minutes applying each product. It was the longest and most awkward train ride for me cause it was hard not to stare LOL. OMG!I wanted to get that mimco turnlock bag (but in black). It kept selling out so I gave up on it, and set my hopes and dreams for something else (more expensive...). Can't believe how much makeup you cart around with you! The only makeup I bring is a lipbalm, lipstick and a gloss. But I never touch up during the day so that's just dead weight for me. 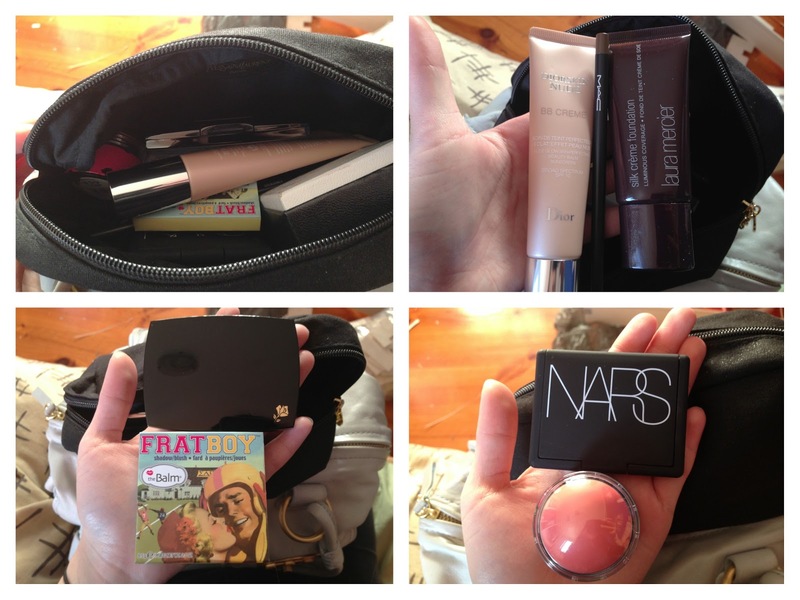 It's actually their mini bag haha but it fits so much stuff! I LOVE Mimco and have three Mimco bags that I rotate between. I thought I carried a lot of makeup in mine but you take the cake lol. Wooooooow that's a LOT! I thought I was bad haha! And oh gosh your bag is so cute! I usually carry almost the same. You never know when you'll need to refresh or do your makeup all over again;) great post! Hi! 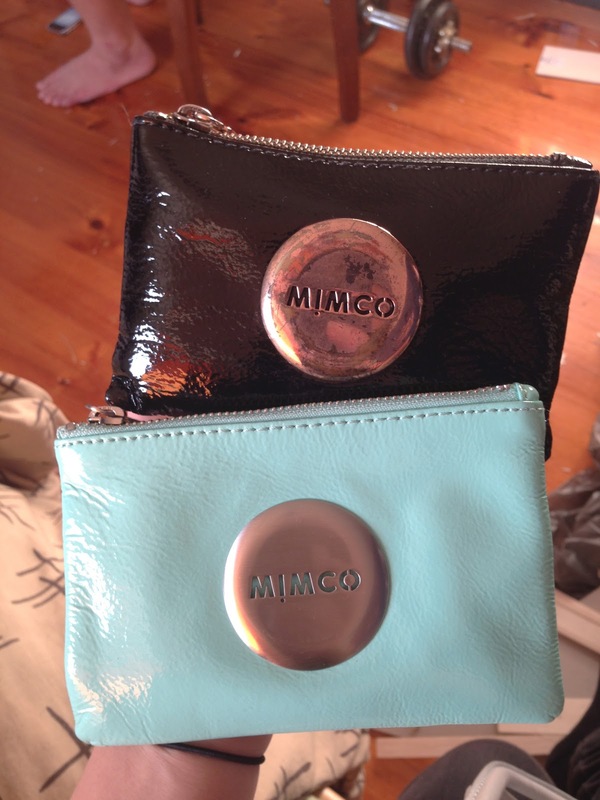 I'd love to buy the black mimco patent leather pouch? Any way that I could contact you?